The turn of the New Year saw Local Cleaning Services contact Facelift about upgrading their current vehicle mounted access platform. Being experienced operators, having run their old vehicle mount for 13 years, the decision was made to replace it with one of Facelift’s 2006 Ascendant A22-17TJ’s. 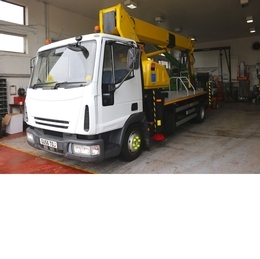 The unique working envelope that the Ascendant can offer, with extraordinary outreach capabilities at full lift capacity, combined with being LEZ compliant and under 7.5t, made the Ascendant an easy choice for Local Cleaning Services. The Facelift machine they purchased under went a full chassis and boom respray & received a full service before being issued with a new 6 monthly LOLER test certificate. Facelift have more of their resprayed Ascendant A22-17TJ’s becoming available for purchase every month. Please get in touch with our Capital Sales Department for further information.